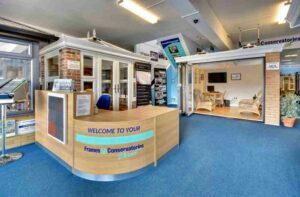 » Blog » WHY SHOULD I CHOOSE DOUBLE GLAZING FROM FRAMES CONSERVATORIES DIRECT? All double glazing is not the same – the best double glazing is very different from some of the poor-quality products available on the market. But how is it different? Let us explain. We know you want double glazing that looks amazing, locks, unlocks and opens and closes with ease, doesn’t develop condensation and doesn’t discolour. You also want windows which are energy efficient to keep heating bills down – and super secure to keep you and your family safe. You want more glass and less frame visible. That’s why we supply high quality durable double glazing, double glazing you can trust. Since we were founded in 2001, we have built a solid reputation on solid products and the best service. Which double glazing company can I trust? Reputable Double Glazing installers will do their best to assure customers that they are trustworthy. Fortunately in our online world there is nowhere to hide when it comes to poor reputations so our advice would always be to check review sites such as Which? 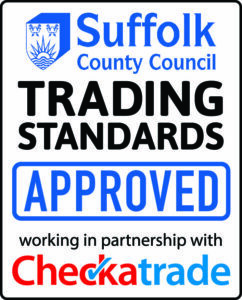 Trusted Trader, Checkatrade and Trust a Trader to see what experiences other customers have had. 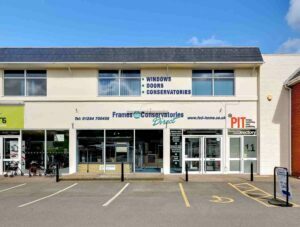 At Frames Conservatories Direct we seek out endorsement from bodies which also give customers peace of mind such as Trading Standards and the British Standards Institute (BSi). When it comes to after sales, it is common for some adjustments to be needed over the years, for instance for a seal to need to be replaced or , but with good quality windows like ours – good double glazing, fitted properly – they will last many years. With our ten-year guarantee, if there is a problem, our After Sales team will come out, take a look and sort it. Which upvc windows are the best? A good indication that a window is not the best quality is if the installers insist on a minimum temperature for fitting. The thinner upvc in poorer quality windows can crack in low temperatures during the fitting process. Our installers will install on the day agreed with you, whatever the weather. Our windows are made in the UK and the upvc used comes from the largest upvc manufacturer in the world. We have a completely traceable quality trail, from the tiny balls of polymer to the manufacture of the upvc which then goes to our accredited manufacturers. There are quality checks every step of the way for an unbreakable chain of quality. Quality windows, the ones we supply, will be durable and sturdy, built from high grade upvc which does not fade or change colour and are reinforced with steel for additional security and rigidity. Lower grade windows will be reinforced with recycled plastic. Another indication you have high grade windows is that any cold from outside is not transmitted through the sealed units to the inside. Double glazed windows are made up on two panes of glass; between these panes will be a spacer. Many poorer quality windows will have a metal spacer. The issue with this is that the cold from the outside will transfer via the metal and make the inside pane cold too. This is easily spotted on inferior double glazing with beads of condensation forming around the outer edge of the glass. Our windows have an insulating, warm edge spacer which forms an insulating barrier between the outside pane and the inside pane, therefore keeping the cold out. Ultra secure windows are our standard windows, with hinge side protection that cannot be prised open by a would-be intruder, and glass that cannot be removed from the outside. Child proof restrictors can be fitted to windows to allow ventilation but with restricted opening. They can, of course, be fully opened by adults in the event of a fire. We install the right windows for the customer and for that property. It’s about finding out what the problem is and overcoming that, whether it’s outside noise or condensation. Installing even the best double-glazed windows in a house with an inherent damp problem is not going to stop condensation. But if a house is working properly, replacing single glazed windows with quality double glazing will stop the condensation that gathered on the single glazed window. 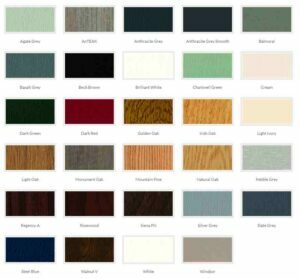 Our windows can be in your choice of colour. Having them coloured professionally at the time of manufacture gives the perfect, long lasting finish. Our standard upvc windows are available in 29 colour options. You can even choose to have one colour inside and another outside to suit your taste. We are members of the Independent Network, a nationwide organisation formed of only the best local upvc window and door installers in the industry. We continue to meet high standards of craftsmanship and service to retain membership. Independent Network was created in 1996 to raise standards within the industry and provide customers with the peace of mind that they were not only buying from a reputable installer but that the products they were buying were quality products from raw materials through manufacture to the final on-site fit by the installation team. All Independent Network products and workmanship are supported by a full 10-year, no quibble, insurance-backed guarantee for complete peace-of-mind. This guarantee is underwritten by Veka, the World’s largest UPVC manufacturer. Now with over 150 installer members, all thoroughly vetted, Independent Network continues to check every installation of every customer to ensure that high standards are being maintained. They report a 97% customer satisfaction rate nationwide. We are proud to have achieved more than this 97% and have won the prestigious Independent Network National Customer Satisfaction Award three times. Choosing us means you are choosing double glazed window and door fitters accredited with the BSI kite mark for installation. Many people can fit a window. But for a good job you want an experienced fitter who is qualified above the minimum standard. Even the most secure, energy efficient windows will fail if they aren’t fitted well. 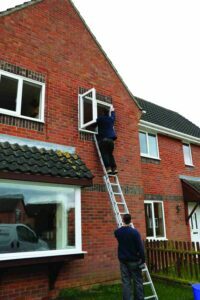 We pride ourselves on our service, with reputable fitters who install windows correctly and, if required, put right existing problems where necessary. We have even had to fit load bearing lintels when removing windows which had been fitted with no lintel above, so the weight of the bricks had been directly on the window. We never put potential customers under pressure to buy but will explain what is available – from the latest colours to the various styles – measure, quote and leave the householder to decide. Unfortunately, the industry suffers with a poor reputation caused by a few companies who outstay their welcome in a customer’s home, begin with ridiculously inflated prices which are then slashed after ‘a call to the manager’ followed by an insistence that orders are placed there and then with a hefty deposit to secure the deal. Any company who uses intimidation to get an order is not likely to follow through with a quality product and after sales service. If you have good products and good fitters, that approach simply isn’t necessary. If you do decide to use us to install your new windows, we don’t ask for a deposit at all. Where can I buy upvc windows and doors? We are not the cheapest, we are not the dearest, but we try and factor in as many good points as we can to our double glazing to make it the best value-for-money available. 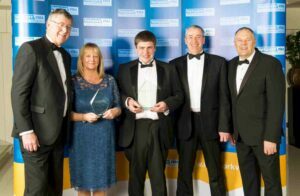 Contact us for a free no obligation quote from one of award winning consultants, we won’t put you under any pressure to buy but we will give you expert advice.